Organizing can become an easier task when you learn to compartmentalize to organize. When I ran a daycare, the children were taught how to sort & categorize at one of our learning centers. By doing these exercises, they eventually learned how to compartmentalize their things, then organize. I had the parents bring 10 – 20 of one type of item, in a bag, to the center. I gave each child the same size container, then mixed up the items in one big bin and dumped them into the center of the floor. The kids were to choose “one item,” then find all that looked like it and put them in their bin. By the time the exercise was over, the kids saw that everyone had the same things separated into different bins. This was the first step in teaching them to sort and categorize. The next step was to give them each a box of mixed up items and have them sort several items into the appropriate bins on a shelf. When they were all done, they were able to look into each bin and see how everything matched (well, most of the time). After you sort and categorize, put a post it with the category name on each stack or pile. This will help you when it’s time to label. (Note: You don’t necessarily need to label every container.) Compartmentalize by choosing what type of container or accessory to put those things inside of, “to contain them.” There are many choices of containers, baskets, decorated boxes, etc. to store your things. Binders can be put to good use as well. 1. Paper is probably the most difficult to contain and store. The variations for paper storage are mind numbing. So think style & simplicity to make it easier to choose a solution. There is vertical or horizontal, hanging or on the shelf, table, desk, etc. With this in mind, I recommend horizontal storage when filing for Type B women. Vertical: This is where your files stand upright with the tab facing you so you can see the title and it’s sort of “in your face.” For the Type B personality, file folders could go into upright file folder stands, file boxes, or file cabinets. If you do not need the file very often, you are safe putting it in a file cabinet. There are some very pretty purse style file holders at Target as part of the Real Simple Collection. You could keep one of those neatly on the floor by your desk if you have to keep certain papers near you but don’t have room “on” your desk. You can also find solutions to hang files on the wall. Finally, binders are a great way to store categories of papers such as recipes, organizing articles you’ve cut out of magazines, yearly tax returns, etc. Purchase ready made tabs to save time. Horizontal: When you use trays to store files going in or out, this is Horizontal filing. 2. Photos could go into photo boxes (get different color photo boxes to add more color on a shelf), photo albums, or frames on a shelf or wall. 3. Office supplies could go into various baskets on a shelf; in separate drawer units you can buy at most stores (Sterilite ), etc. I have a few small Sterilite drawer units that sit on the bookshelf right behind my desk so they’re out of sight but within reach. 4. How about the oodles of mail we receive each day? Choose something pretty that is just for mail. Make sure to purge it at the end of every day. (Worst-case scenario, once per week.) Have a junk bin for junk mail, near the mail container that you can recycle. 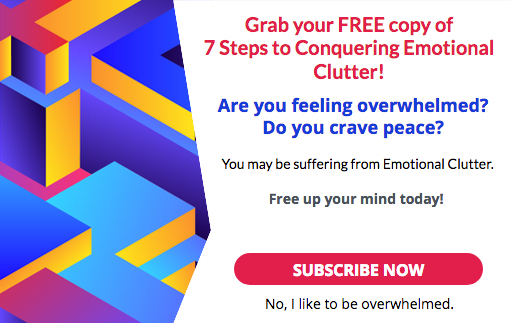 Then you can just dump your junk right into the bin without thinking about it. 5. CD’s definitely need a spot for safekeeping. Once again there are so many to choose from: CD Albums where you take the CD’s out of their jewel cases and put them into flat sleeves; Jewel case racks that allow you to keep the jewel cases on. Some have vertical slots and fit on a shelf, some stand tall and slender (available at places like Best Buy), allowing you to stack them high instead of wide. Think carefully before you settle on a place to put something. The first place you put it is most likely one of the first places you will look. Unfortunately, if your place is not organized, you will not be able to find that stack, box, or container that has the item. And usually the first place you “think” of putting something is often the first place you will look. 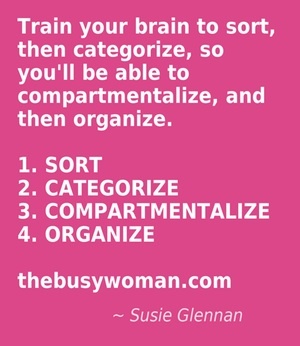 That is why it is important to train your brain to sort, then categorize so you will be able to compartmentalize, and then organize. Find similar containers to hold your things that are stylish, functional, and not too cumbersome. If needed, have a staging area where you can lay out the various categories of items to be put away so you can decide which piles will fit into what containers. You may have 3 of this container and 6 of that. Will your large pile fit into the 3 flowered boxes or the 6 pretty, fabric lined baskets? 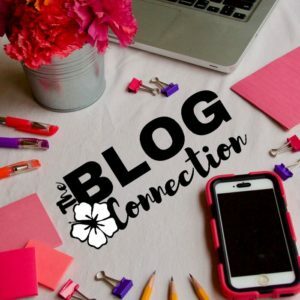 It is all about visualizing what you want your space to look like and what you need at your fingertips (Remember: It cannot ALL be at your fingertips). Look through magazines, or surf the web at The Container Store, Crate and Barrel, Target, Office Depot, or department stores, to see what styles you might like and the products they have to offer. Then go back to your space and try visualizing. Next, sort, then categorize, make your list and go shopping. When you come home, lay out the containers next to where your piles are sorted and categorized. Eyeball the containers and the piles. Start putting things into different containers and see how it looks. You’ll undoubtedly spend a little time readjusting. I learned early on to buy more containers than needed and return what I didn’t use. Whenever I didn’t do this, I ended up not having enough of the sizes I needed, putting things in larger containers or leaving them in a pile. By the time I went back to the store to get more, the ones I purchased were sold out or no longer made. Yes, I waited too long because I was too busy. Once you are done finding a container, bin, or basket for each pile, start labeling. Sometimes I use Martha Stewart Avery Adhesive Bookplates, sometimes I use Cardinal Self-Adhesive Label Holders for Binders (21820), and sometimes I do not use anything because the box is SO pretty and I know I will remember what is inside. So now off you go to – Compartmentalize to Organize! If you complete a project and want to share photos, we would LOVE to see them!